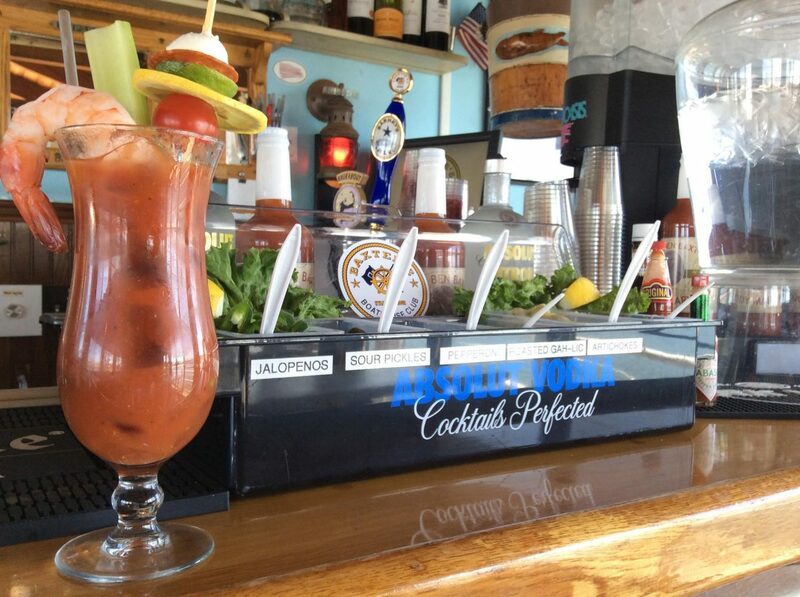 How do you take yours? 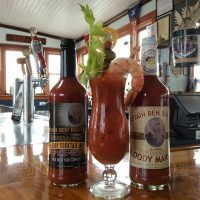 Spicy? 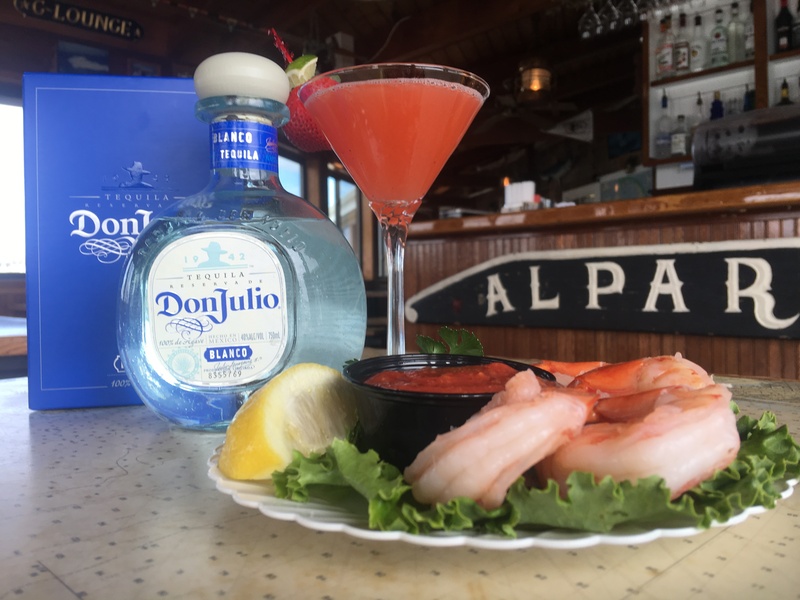 With a shrimp topper? 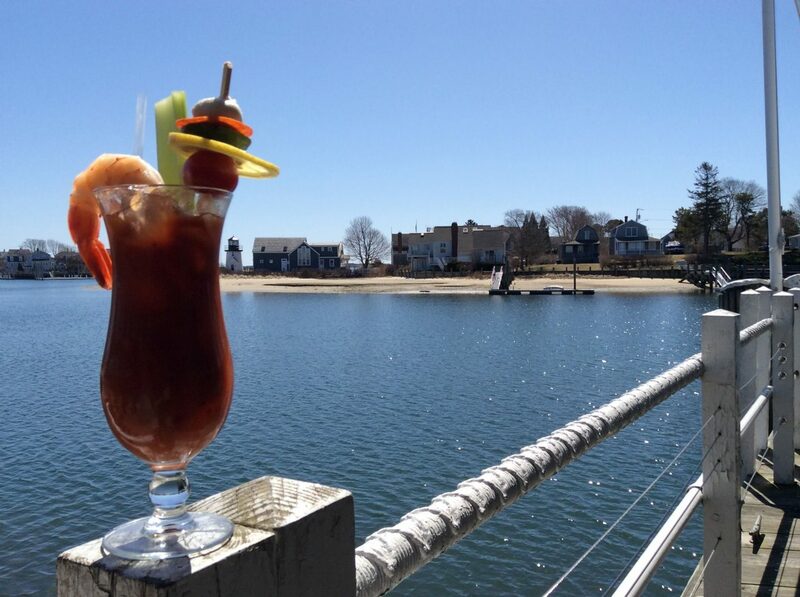 Or with clam juice?! 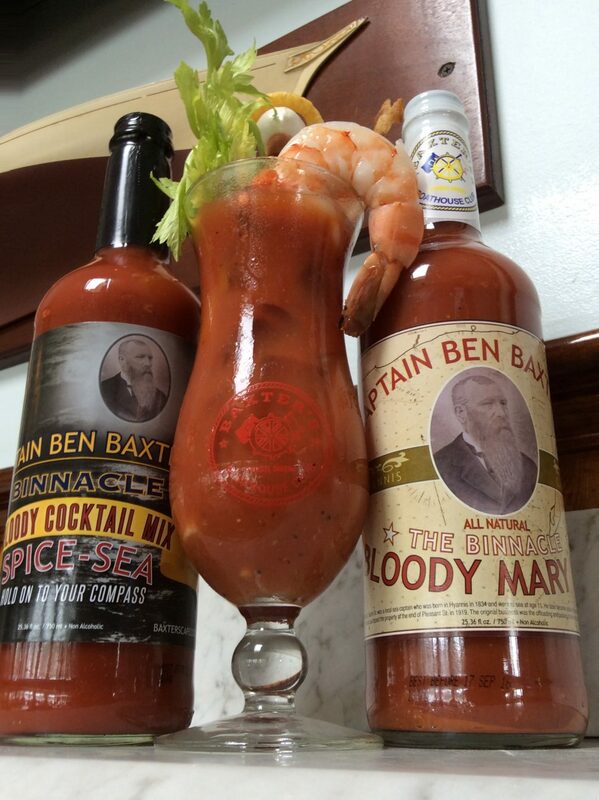 We’ve got you covered at Baxter’s! 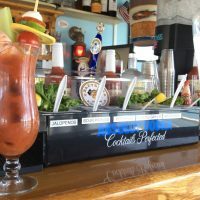 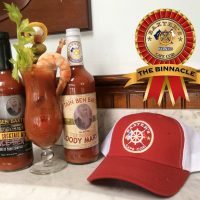 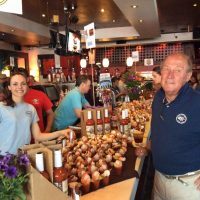 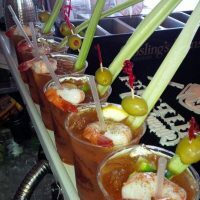 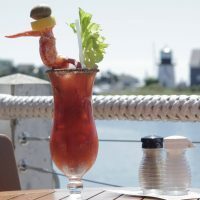 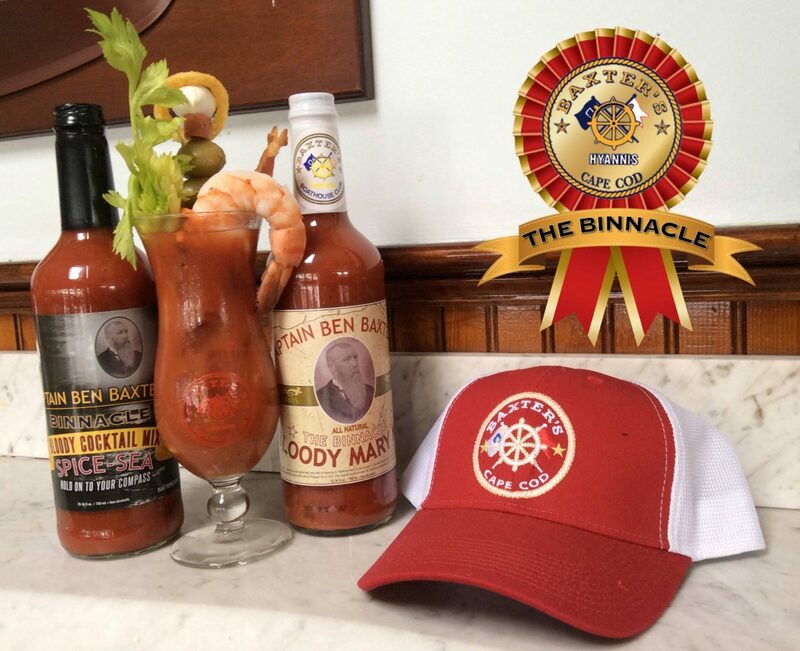 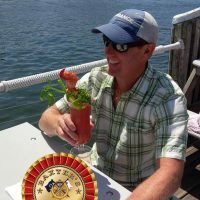 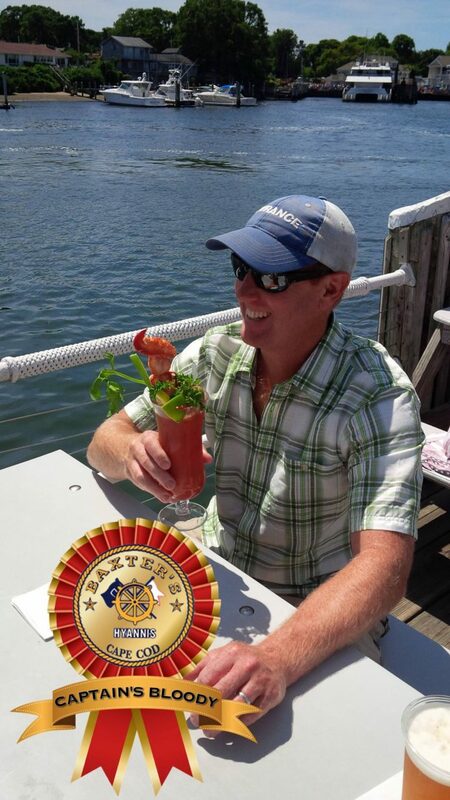 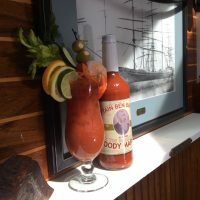 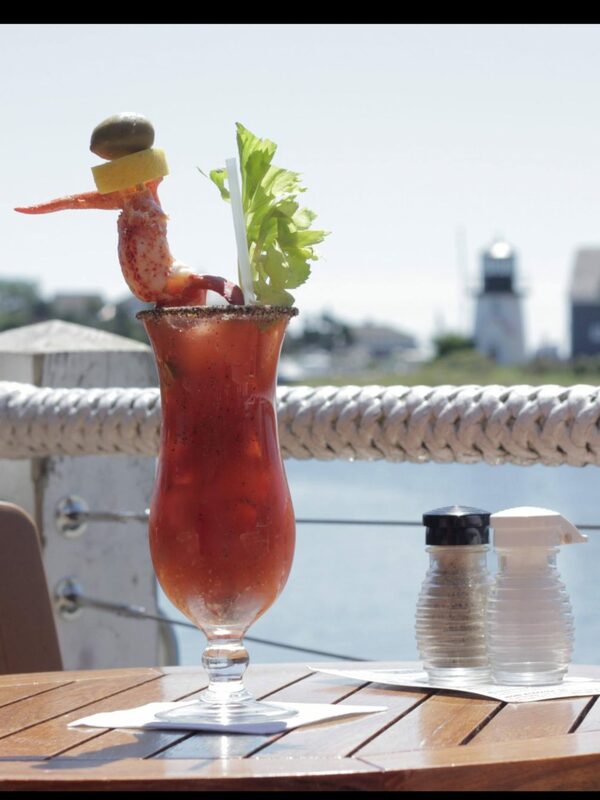 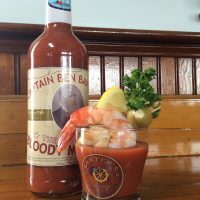 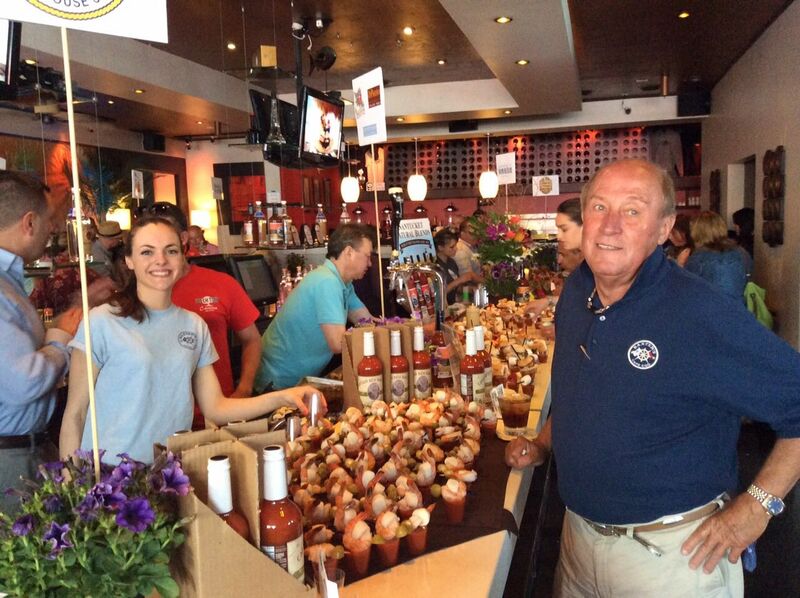 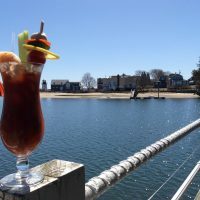 Established in 2015, The Binnacle Bloody Cocktail has become the #1 selling cocktail at Baxter’s Boathouse! 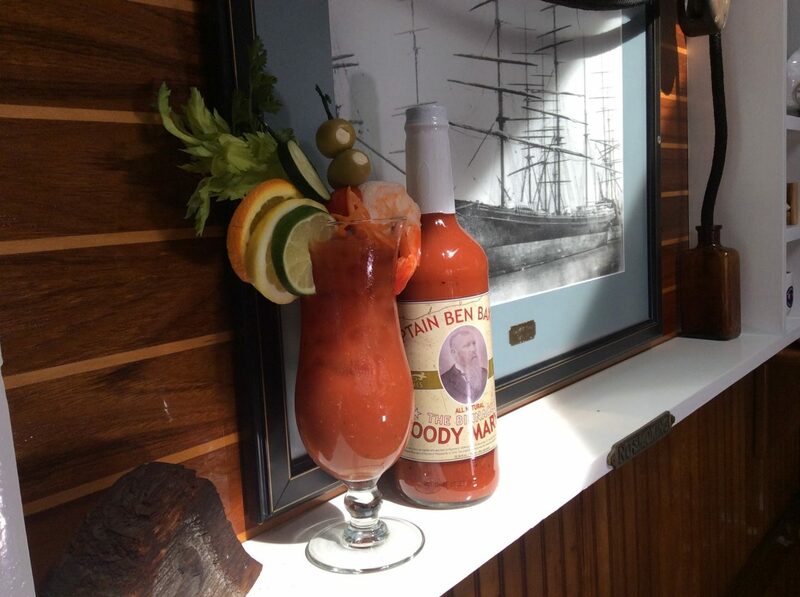 It is an original recipe, it’s all natural and has no preservatives. 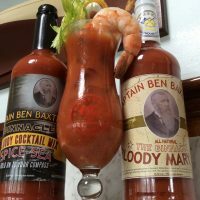 Can’t get to Baxter’s? 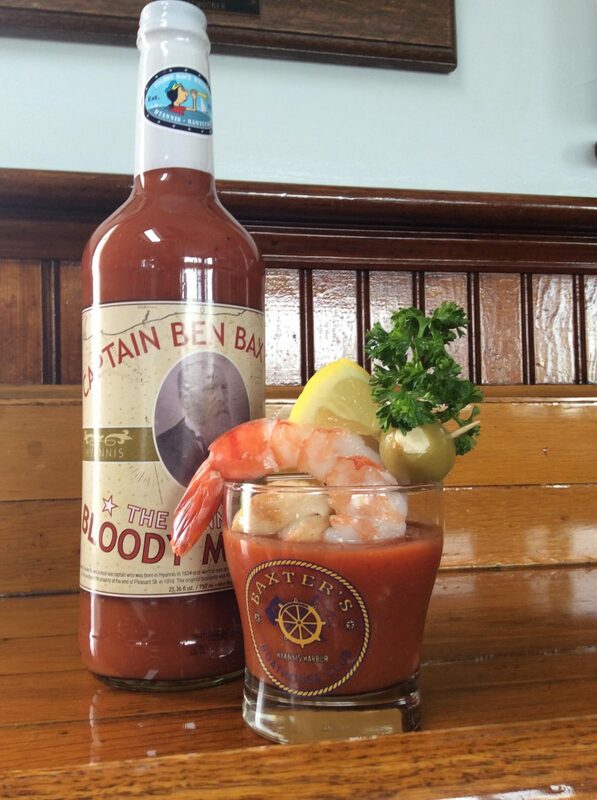 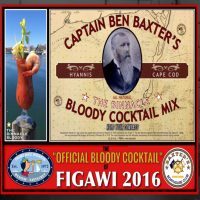 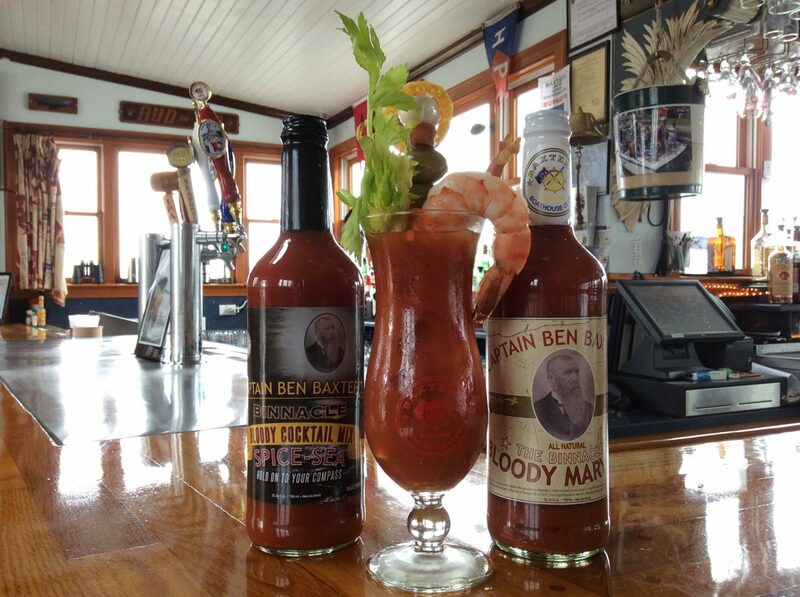 Click here to see where you can purchase Captain Ben Baxter’s Bloody Cocktail Mix near you! 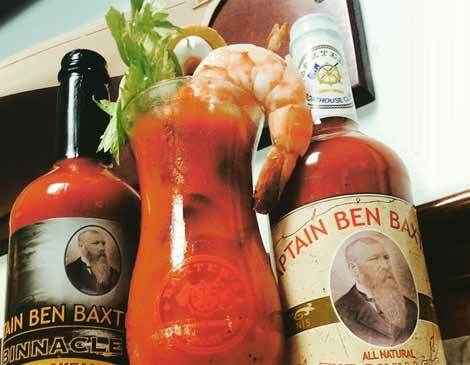 Captain Benjamin D. Baxter was born in West Yarmouth, Massachusetts in 1839. 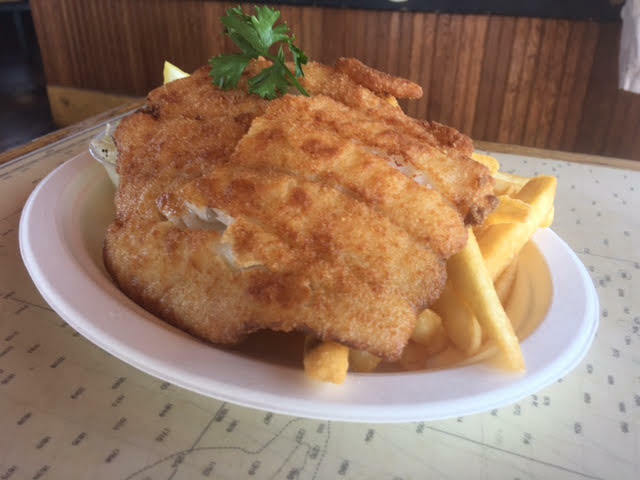 At the age of twelve he began to find his home on the sea. 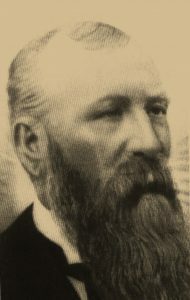 He later enlisted in the US Navy and commanded the Gerard C. Tobey, John N. Cushing and the Alden Besse among other ships. 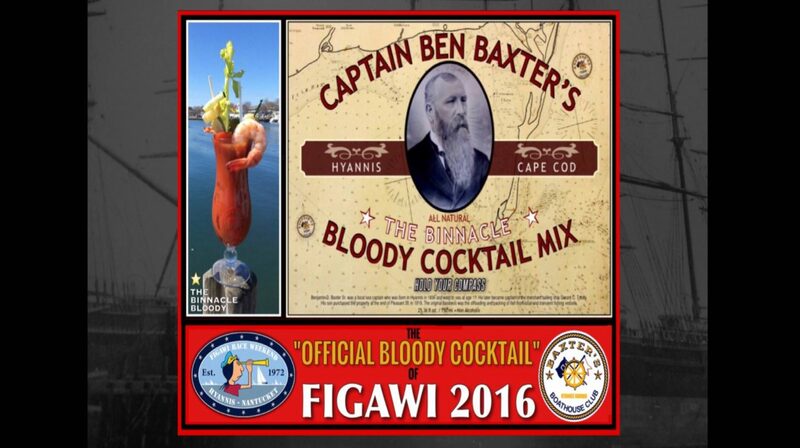 Baxter family history includes many tales of Captain Baxter’s long shipping voyages across the Atlantic, Indian and Pacific Oceans. 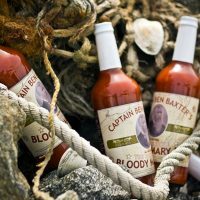 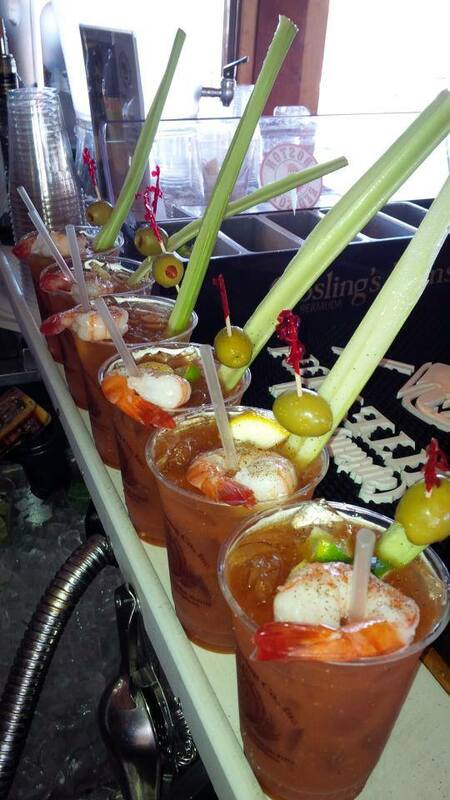 It was during those travels that he began using the items on board to create early versions of bloody mary recipes. 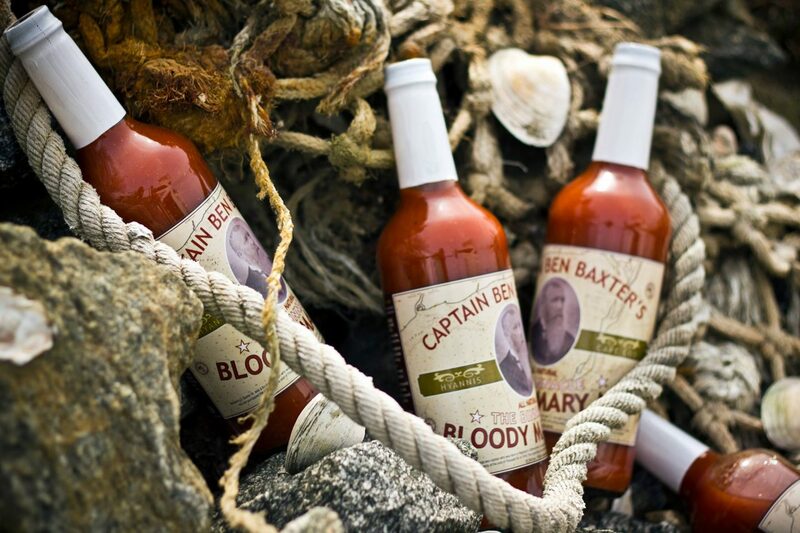 After many years and at least two children born at sea, Captain Baxter settled on Cape Cod. 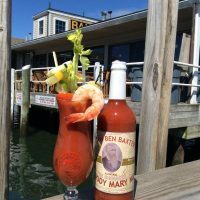 In 1919, his son Benjamin D. Baxter Jr., purchased the property at the end of Pleasant Street in Hyannis and used it for packing fish. 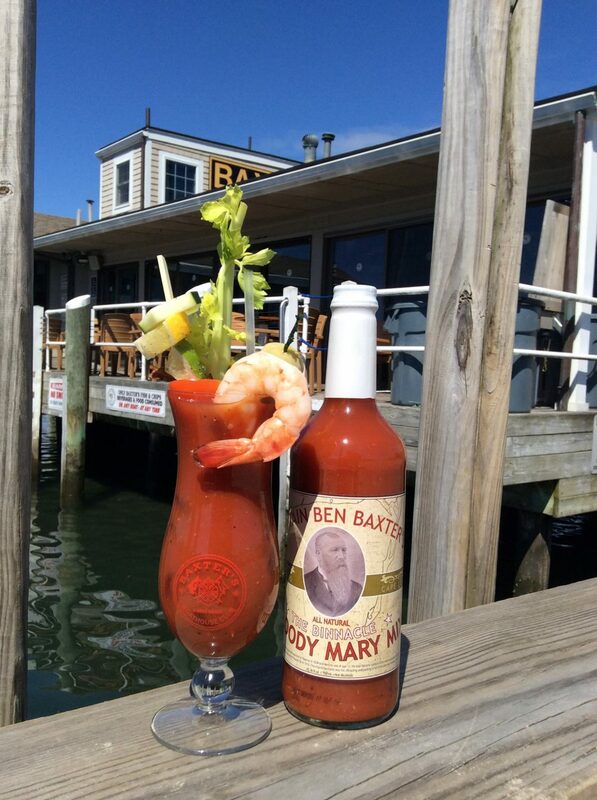 The property still remains in the Baxter family today as Baxter’s Boathouse Club and Baxter’s Fish and Chips.